Photowalks can change the way you see a city. Pick up your camera and embark on a tour by foot to the best photo opportunities in each city. Whether you’re looking to capture historical landmarks, daily life, or breathtaking landscapes, these photowalks will ensure that you take home an image you might not have found otherwise. views in every corner of what some call the “sailing capital of the world”. Founded in 1649, the city is also home to beautiful St. John’s College, the third oldest university in the United States. The city boasts a number of cultural landmarks, timeless architecture, and a lively harbor practically made for photographing. this eclectic city offers a plethora of opportunities for every photographer. 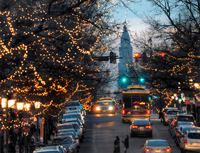 There are a number of captivating neighborhoods ready to explore, like Federal Hill, Downtown Baltimore, and more. Learn how to capture the place where modern and historic scenery meets in the birthplace of the “Star-Spangled Banner”. Situated on the other side of the Potomac River from Washington D.C., this quaint, history-rich town was once called home by George Washington. to hidden gems throughout the city. 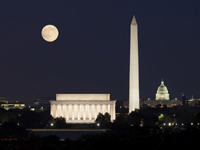 Walk down the National Mall and take in the surrounding sights. Don’t miss the beauty of the Tidal Basin’s famous cherry blossom trees in the spring, the historic Smithsonian Institution, and the Library of Congress on Capitol Hill. Washington D.C.’s rich history and diverse culture make it a photographer’s dream. Walk through King Street and become immersed in the beautifully preserved historic district, full of restaurants, shops, and other attractions. Trace George Washington’s footsteps, take in the Old Town Waterfront, or enjoy the number of museums and other monuments the stunning center of Alexandria has to offer.